For all the items that I can't get at my usual round of farm stands and farmer's markets there will be a new option in town - Whole Foods Market. 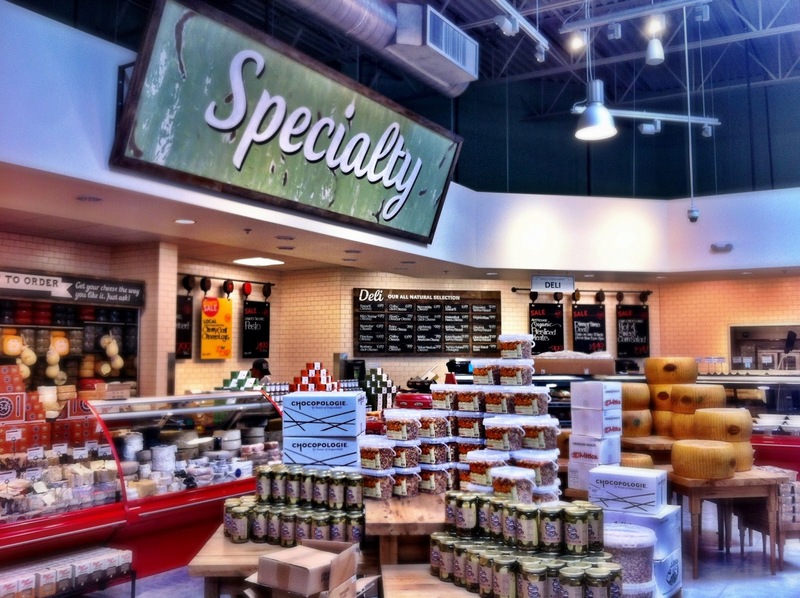 The grand opening of the 35,000 square foot store is this Friday, May 17th. The opening celebration kicks off at 8:30am with a bread breaking ceremony followed by storewide tastings, special sales, giveaways and other fun stuff. As part of the grand opening the store's first 350 customers will get a free pound of boneless, skinless chicken breast and a free pound of raw, peeled shrimp. Plus 5% of the day's sales will be donated to the Danbury Museum and Historical Society. They do try to source locally when possible. In this case local also means regional. You'll find items from local farms like The Hickories (Ridgefield) to artisans and farms from upstate NY, NYC and New Jersey. In most traditional supermarkets I seriously struggle finding sustainable options. Whole Foods will not carry any seafood in the red "Avoid" category of the Seafood Watch Guide by the Monterey Bay Aquarium. If the list changes, so does what they carry. Additionally, in many instances they buy direct from Northeast fisherman. I'm not an oyster fan, but for all of you who are, they will carry oysters from Westport Aquaculture. 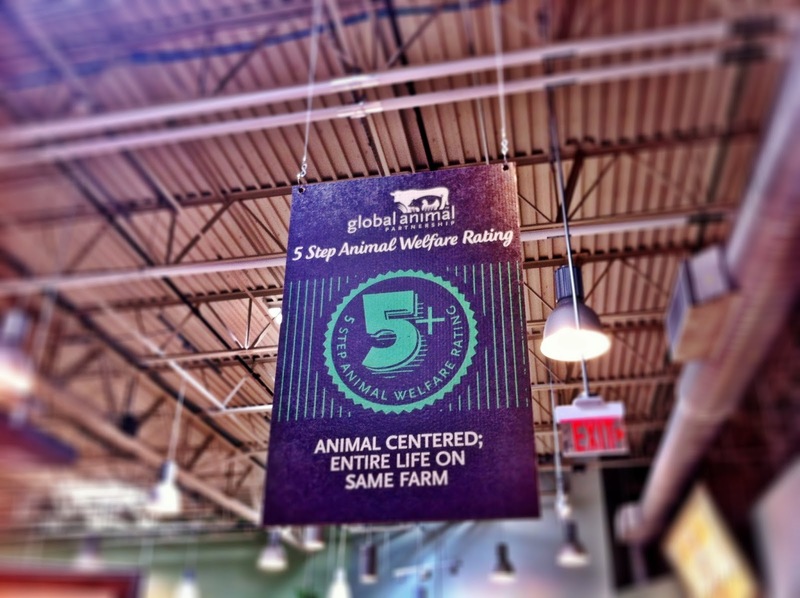 Whole Foods works with the Global Animal Partnership to certify producers' animal welfare practices. There is a 5-Step Animal Welfare Rating System. Right now the system is for pigs, chickens, turkeys, and cattle. All producers they carry are least at Step 1 - no crates, no cages. Step 5 means the animals lived their entire lives on pasture and were slaughtered on farm. You may have already heard this, but it bears repeating: Whole Foods has announced that by 2018, all products in US and Canada stores must be labeled if they contain genetically modified organisms (GMOs). Whole Foods is first national grocery store to set a deadline for GMO labeling. As a store they aren't taking a side in the debate but believe customers have a right to know and decide for themselves. 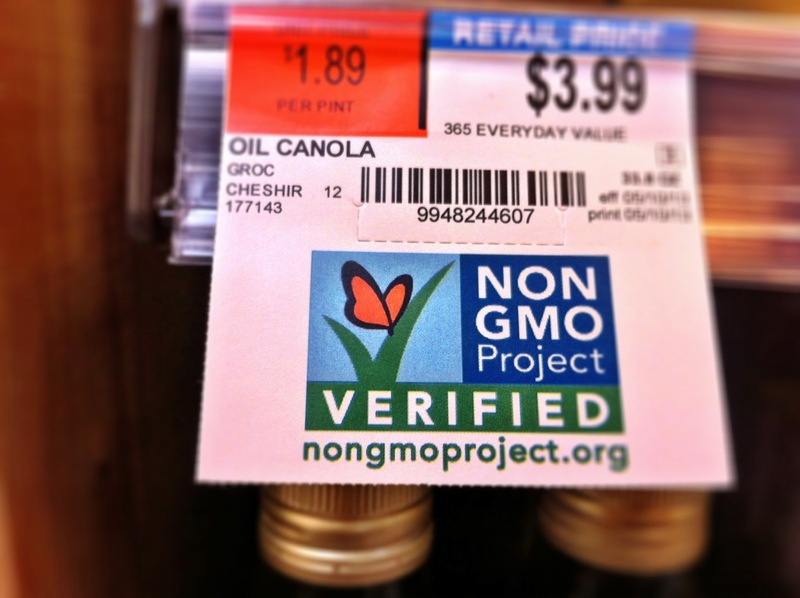 They have partnered with the Non-GMO Project and already have products as verified free of GMOs. Cheese wonderland, that is all I have to say. And, you can ask for a sample of anything before you buy it. Oh, and there was a towering display of Chocopologie (Norwalk) truffles right around the corner from the cheese department. They are exclusively made for Whole Foods. Just pointing it out. They will carry Wave Hill Breads (Norwalk) and a few other regionally made breads in addition to lots of in-house made options. All their cakes are made with natural food dyes so don't expect any other-worldly colors in the frosting. I love a bit of nostalgia so it was fun to hear about their retro sweets roll-out. Think natural versions of the classics like Yodels and Twinkies. They even have "natural" versions of gummy candies, all made without high fructose corn syrup. The store will carry locally roasted coffee in addition to larger brands. At their coffee bar all the beans are certified Fair Trade and roasted on site. The coffee bar will also feature Kelvin (Brooklyn) all natural slushies. What makes the Danbury location feel a bit special is the Burgers & Shakes bar, an homage to Marcus Dairy. The store, which if you're not familiar with the area, sits on the former site of Marcus Dairy - a local classic dairy bar restaurant. 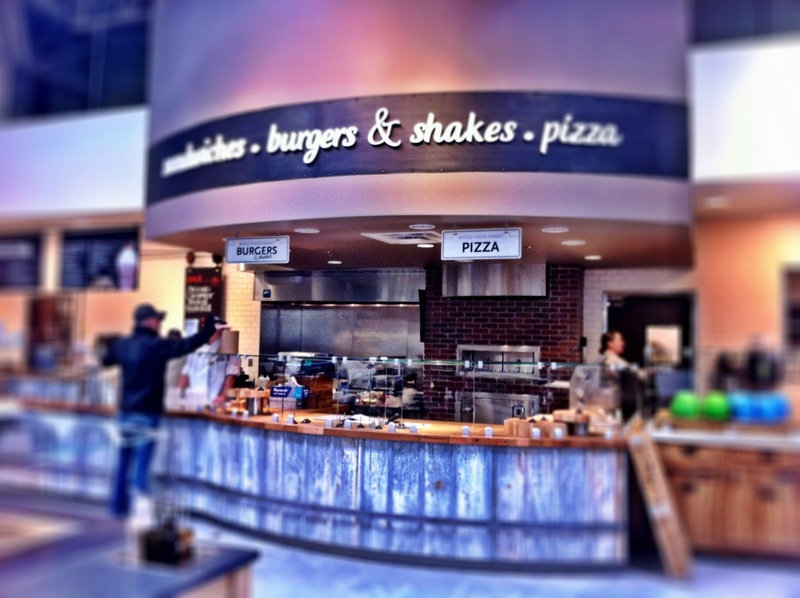 The Whole Foods version will feature burgers, push-cart style hot dogs and of course made-to-order milkshakes. As a side note, as another way to honor the history of the location, there are "dairy" related decorative touches throughout the store like old fashioned milk jugs and crates. 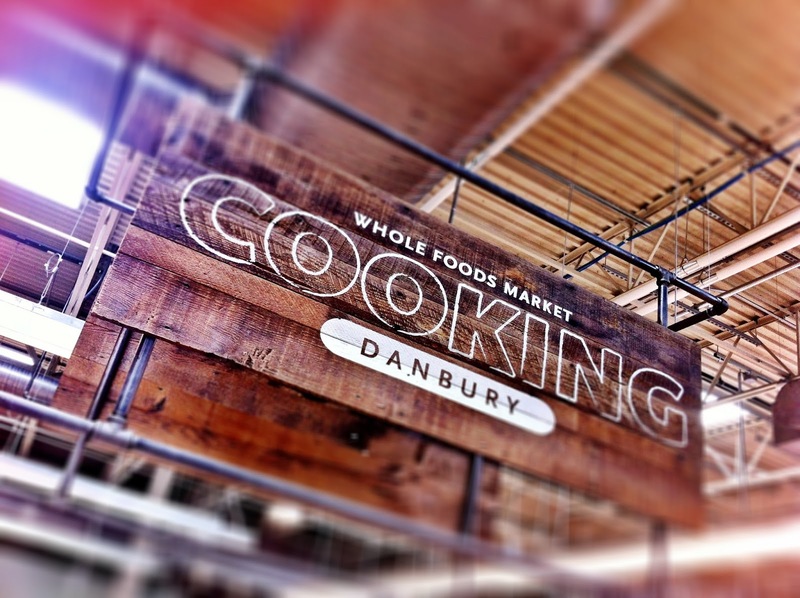 As a way to be a part of the community, Whole Foods Market Danbury has dedicated 5% day grants throughout the year to four other local organizations: The Ridgefield Playhouse, CityCenter Danbury, The Land Trust of Danbury and Plow to Plate of New Milford. Okay, so that's just a few of the highlights. 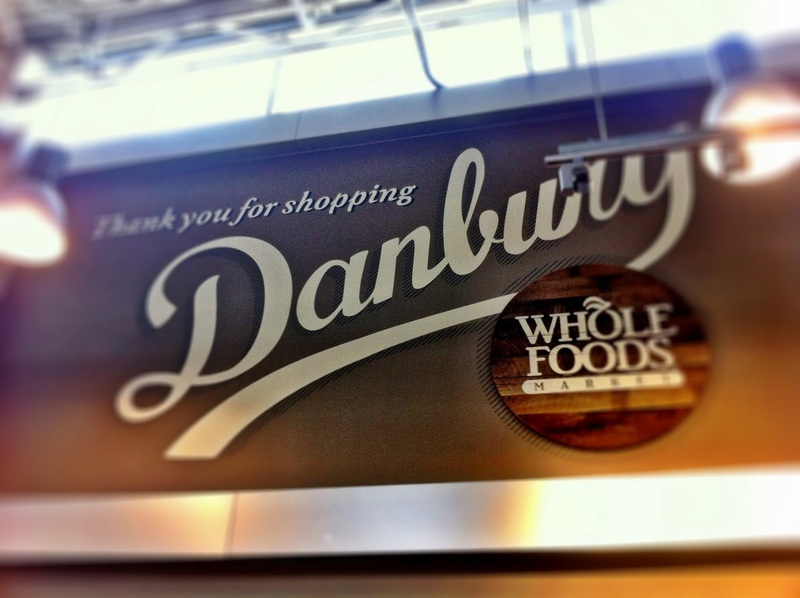 For me, Whole Foods is a cool new addition to Danbury. What's your favorite thing about Whole Foods? Do you have one nearby? How far have you driven just to go to one?